So winter is here, and we are halfway through the year already. If you are anything like me, you are wondering how it all flew by so fast. Life today is so busy, it can be hard to keep track of our long-term goals, when we get caught up just navigating the day to day. Midyear however, is the perfect time to give your finances a health check. As the cold creeps in, and you are thinking about comfort food and staying warm, it’s also worth thinking about what you want to achieve for the rest of the year, both financially, and in your life. I find it best to take some dedicated time for reflection to really understand what it is you want from life and how get it. So, take out the diary, cross out an afternoon and give yourself some quiet time to really explore. Because before you can even think about what to do with your money, you need to have a clear picture in your head of what you want from your life. I have created a journal which you can download for free if you want to start planning your future big picture. When you take this time to think about it, measure your long-term life goals against how you are spending your money and time now. If they don’t match up, it’s time to take some action mid-year to realign. Here’s an action plan you can put in place to help you move closer to what you want. 1.Check your spending patterns. What’s on your credit card statement? Have you racked up debt in the last six months? What did you spend it on? Most people spend too much on eating out, and shopping for things they don’t need. If your life goal is to work less, get more balance or change what you do, chances are racking up credit debt is going to hold you back from getting it. Look honestly at your spending and make a concerted effort to make the next six months about paying that card down to zero – and then getting rid of it. 2. Be honest about your savings- have you saved anything at all for your future goals? If the answer is no, why not? While we can all say there is never enough money left to save, the old rule of pay yourself first can fix this. If you haven’t done it, open a high interest savings account and start to pay yourself – this month, and every month. Even if its $50 a month, something is better than nothing. And the earlier you start, the better you will feel having a nest egg under you. 3. Get interested in your super – have you checked the balance? Now is the perfect time to sign yourself up to online super statements. I did it, and can now check my balance at least every couple of months to make sure my payments are going in, what fees are coming out and what investment returns I am making. Without online access, you don’t feel engaged with your own money, so take the time to set up online. It’s just like online banking and you will soon start to feel good about the savings accrued in your account for your long-term future. This money is your money. Don’t leave it to chance. Be involved. 4. Do one thing to educate yourself about making money outside of your job. Whether it be signing up for an investment newsletter or read a book, you need to learn something about investing, as accumulating knowledge takes time. Google investing in shares, or watch a money show. Knowledge is at your fingertips. Make the time to learn something. You won’t regret it. A midyear money checkup is like a service for your car. Incredibly important to keep it moving forward. 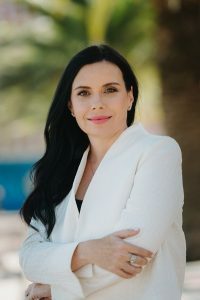 Vanessa Stoykov is an author and money educator. Her website vanessastoykov.com has free resources and articles on getting money savvy. Her debut novel, The Breakfast Club for 40 Somethings is a fictional novel with valuable money lessons. She believes most people need to unlearn limiting money habits before they can grow their wealth.